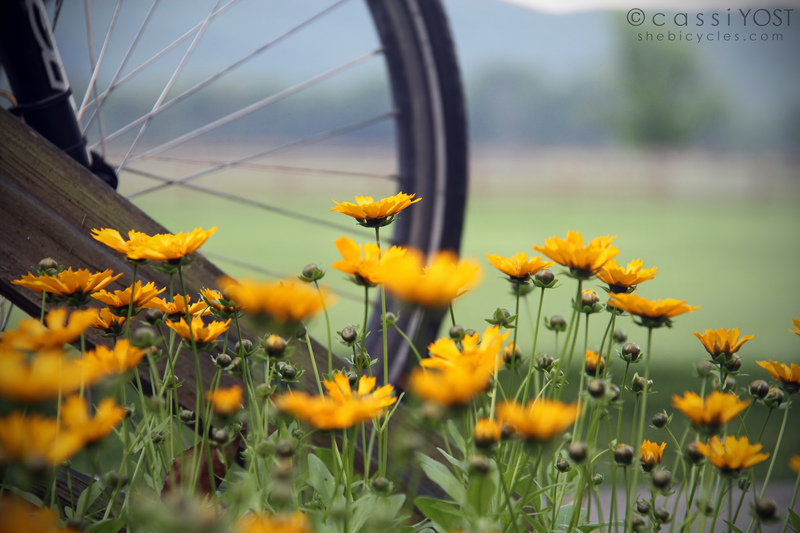 Long day of travel – and sadly not by bicycle. Headed up to Johnson City to move Ross out of his dorm and back home for the summer. Hard to believe his first year of college is over. 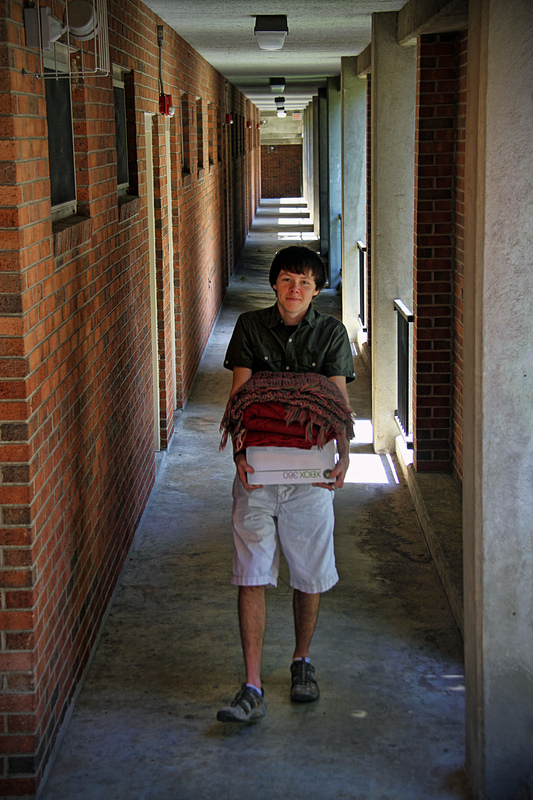 Tomorrow we get to do the same thing all over again – trekking to Clarksville to move Mason. Unfortunately, Clarksville sits on the banks of the Cumberland River, and was one of the towns badly hit by recent flooding. Talking to Mason this week, everything was fine at school, but large parts of the downtown area were under water … could be an interesting trip tomorrow. Got home in time to take a brief spin close to home, just before sunset. Long or short, each ride manages to have its own defining moments. Tonight’s was a stop near a neighbor’s pasture. I had wanted to shoot the landscape in the “golden hour” as the sun was setting. 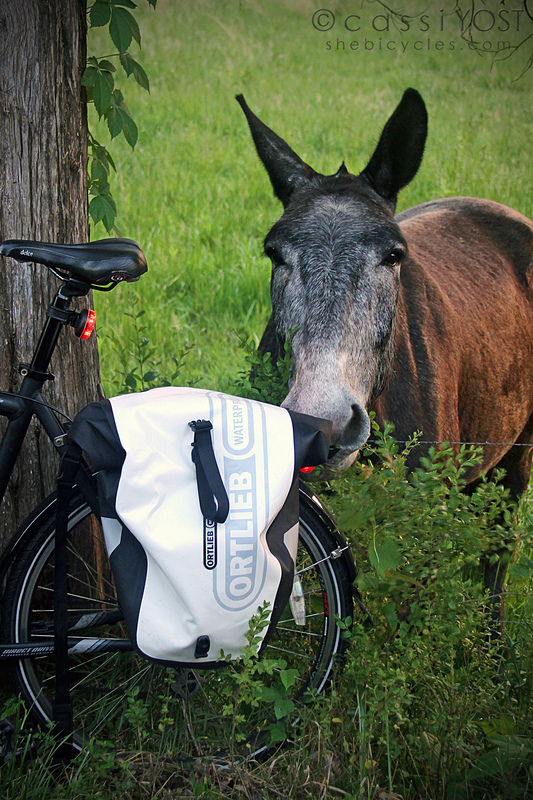 A couple of horses and this great mule came up to investigate my bike. I think he was attracted to the red blinkies? He ended up nosing the bike right over – but no harm done. Mostly, it made me laugh. I never did capture the sunset, but had fun with the animals – as usual (seems to be how it frequently ends up with me lately ;). Oh well. I love that picture with the donkey. As always….a beautiful post with great pictures. Here’s to 330 and beyond. Darryl … I think you should get the special award for always being so nice to read my silly posts and such nice comments – thank you so much! Happy riding! You’re so funny……but thank you for labeling me as nice. I try. I definitely wouldn’t say it if I didn’t mean it…..you’re doing great stuff over here. You’re also one fantastic Tweeter as well. So glad to be connecting with you.